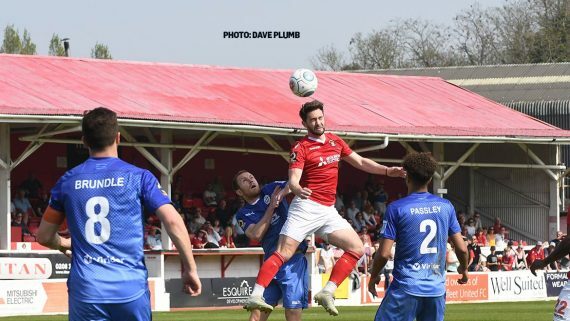 Fleet’s play-off ambitions finally fell by the wayside as Dover gatecrashed the last home game of the season to deservedly make off with all three points. Dover Athletic welcome Chesterfield to Crabble with boss Andy Hessenthaler knowing that his side are agonisingly close to National League safety after a fine run of form in recent weeks which included coming agonisingly close to a win at promotion chasing Solihull Moors. Dover Athletic are almost there and boss Andy Hessenthaler is that close to delivering what he was asked to do when he took over at Crabble for a second time – keeping the club in the National League.